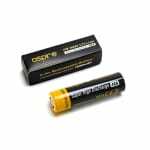 Sorry, Aspire 18650 IMR Mod Battery - 1800mAh has been discontinued. The Aspire 20A 1800mAh 18650 IMR battery for vape mods. A 20A 1800mAh 18650 cell from Aspire, specifically designed for use in box mods.